Place the chocolate and butter in a thin-sided bowl, suspend the bowl over the gently boiling bain-marie; the bowl must not touch the water. Melt the chocolate and butter. Place the egg yolk and sugar in a bowl. Pour in the tea, stirring, and, over a hot bain-marie, beat everything, stirring constantly with the whisk on a hand mixer, to a light and creamy consistency. Stir in the chocolate & butter mixture, leave to cool. Carefully fold in the cream, beat the egg white and salt together until stiff, add the sugar, continue beating until the egg whites are glossy, carefully fold into the chocolate mixture, cover and chill for 3 hrs. 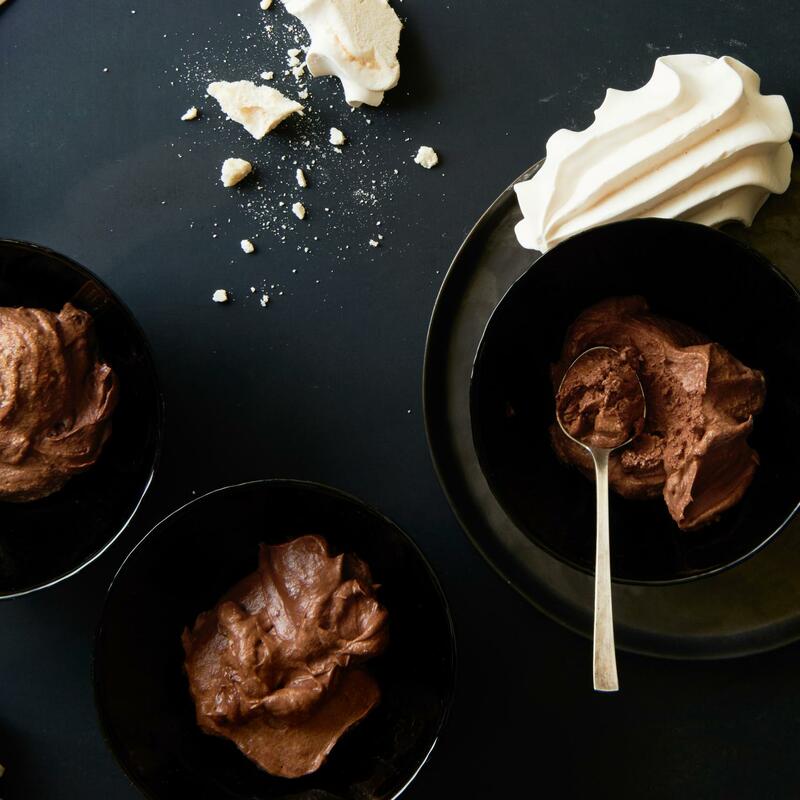 Plate up the mousse and meringue. Decorate to taste with fresh berries, fresh lemon balm or chopped pistachios.